April 28, 2012 (Homestead, Mia.) 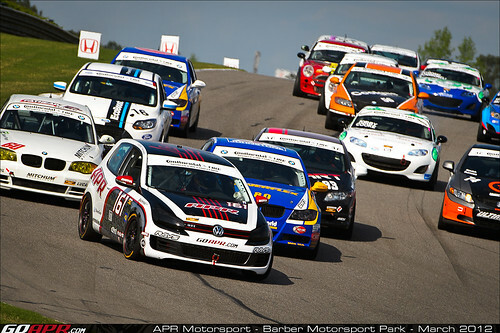 – It was an up-and-down day for the drivers of APR Motorsports’ five Volkswagens in the Continental Tire Sports Car Challenge Street Tuner class. Ian Baas (Noblesville, Ind.) and Aleks Altberg (Mill Valley, Calif.) earned the team’s best finish, 16th, in the No. 171 APR Tuned VW GTI. Altberg started 11th but passed five cars on the opening of 82 laps, his sights set on the leaders as he moved to sixth. 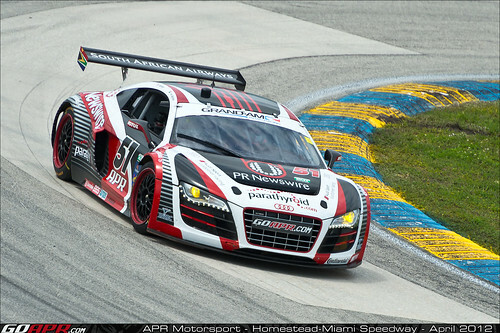 April 23, 2012 (Opelika, Ala.) – While the beaches of South Beach aren’t too far away from Homestead-Miami Speedway, a sunny day on the beach with a Pina Colada in hand is not what the APR Motorsport team has in mind for this weekend’s Grand Prix of Miami. APR Presents: MK6 Golf R 3″ RSC Exhaust System! 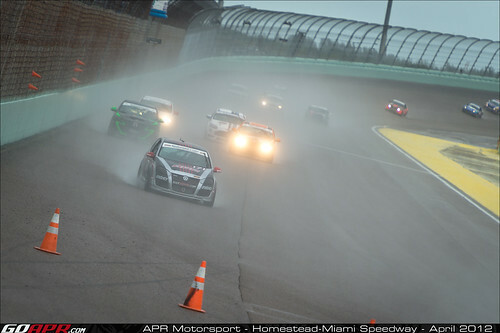 APR Motorsport is pleased to present a very special set of events during the Grand Prix of Miami at Homestead-Miami Speedway, April 28th and 29th, with German Motoring hosting an APR Motorsport Meet-and-Greet with the team on Wednesday, April 25th at their shop in Miami, and corrals for both Saturday’s Continental Tire Challenge and Sunday’s Rolex races. Signed APR memorabilia and apparel raffle! APR Presents Audi TT 2.0 TFSI Valvelift ECU Upgrade! APR is pleased to present the ultimate ECU Upgrade for the 2.0 TSI Valvelift engine. After months of long nights and many hours of testing, development and more testing, we are pleased to offer you an ECU recalibration that is second to none. APR’s extensive research and development provides you with a powerful ECU Upgrade with no loss of drivability or reliability. Expect increases in low-end torque, improved throttle response and a smoother, more powerful top end. Read More! 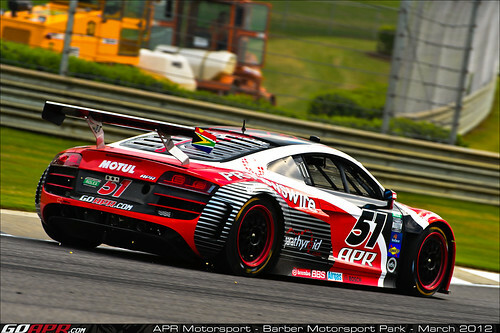 April 2, 2012 (Birmingham, Ala.) – Saturday’s Continental Tire Sports Car Challenge race at Barber Motorsports Park will be remembered for a long time as one of the wildest races in recent memory. 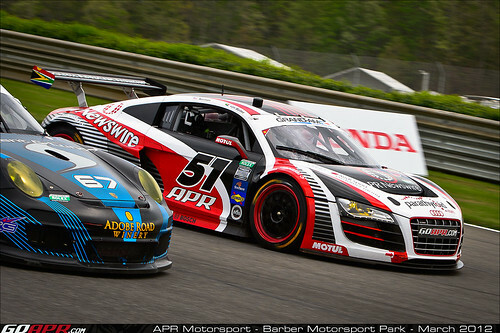 In a race filled with long caution periods and multiple incidents, APR Motorsport’s six-car team didn’t escape the carnage but still banked solid points for its ST-class Volkswagens.